Hi all, I hope you are doing great! It’s Alexia here and I'm glad to be on another term with Craftwell. Thank you Craftwell, for another another term of amazing journey! 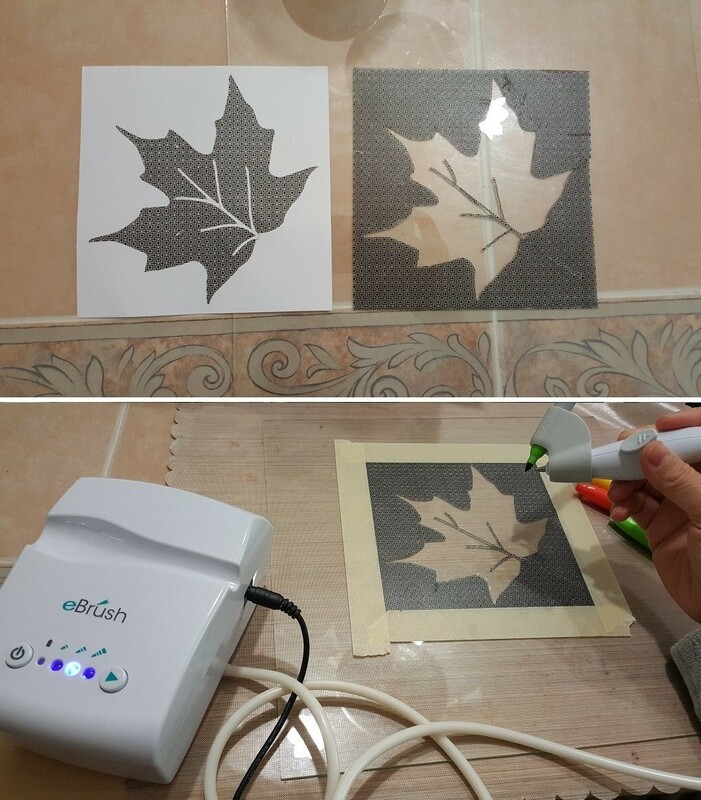 I received my eBrush for this term so I made this fall leave wall hanging home decor to share with you. 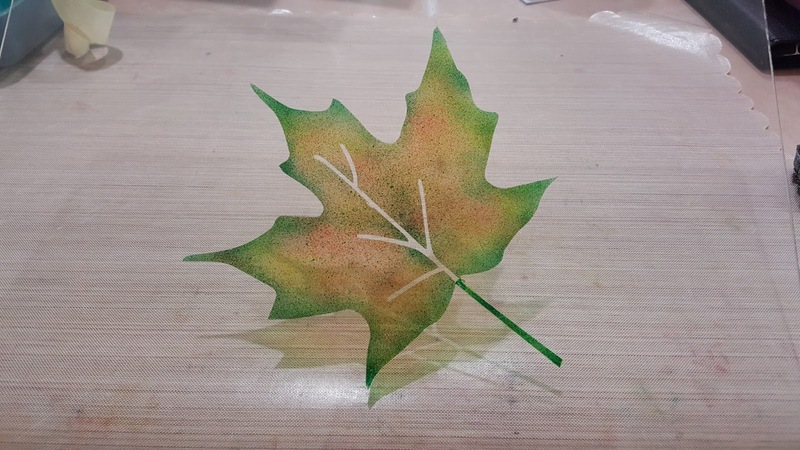 Step 1: Cut a fall leave design using any electronic cutting machine on a washi sheet , I used a 6x6 washi sheet from We R Memory keeper. 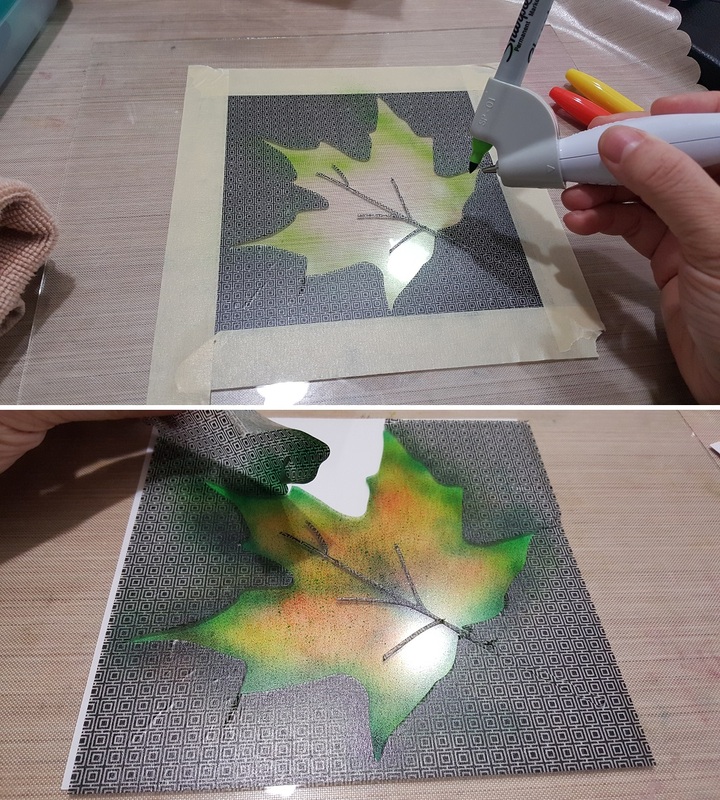 Using Washi sheet with air brush will ensure a sharp air brushed image. If you are using regular acrylic stencil, make sure you tape all sides firmly. 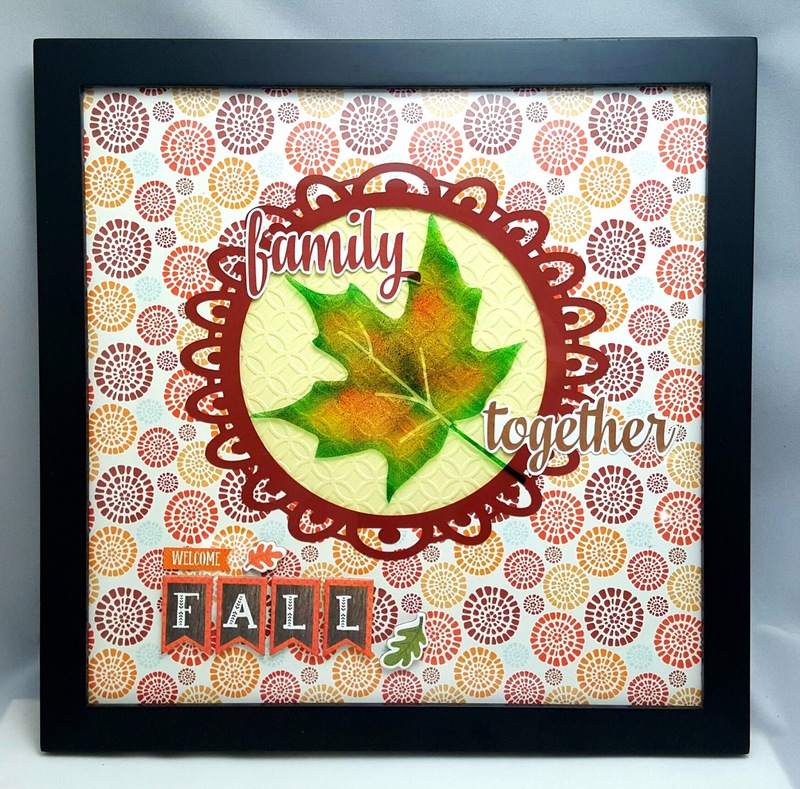 Transfer the washi image to the 12x12 frame glass, I also taped all sides with masking tape to make sure that the ink does not sprayed on the outside out the image accidentally during air brushing. 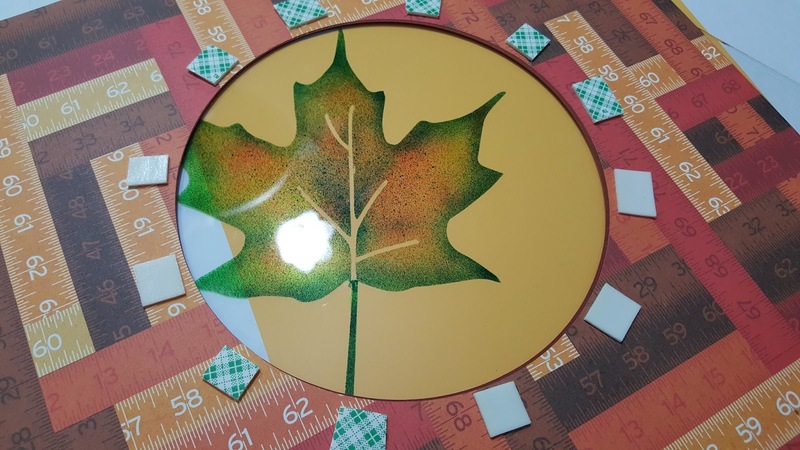 Step 4: Using my cutting machine I cut a circle on 12x12 patterned paper, the dimension should be big enough to show the airbrushed image in the center. 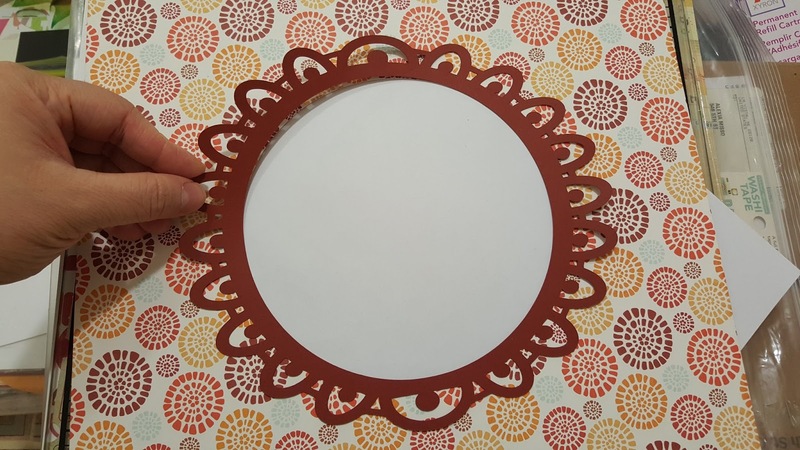 And I also cut a decorative frame for the circle. Step 5: Create an embossed background for the airbrushed image using Craftwell Cut 'n' Boss and Teresa Collins Interlocking embossing folder. 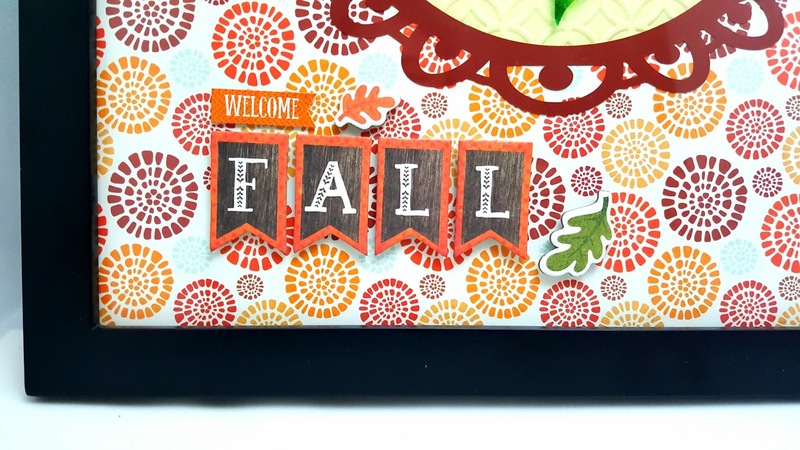 Apply double sided tapes on the back of the 12 x 12 patterned paper in Step 4 and adhere the embossed card stock on to it. And that's it! A fall home decor for your beautiful home. I hope you like the project. Thank you so much for checking on my post and look forward to sharing more project ideas with you next post! Pretty home decor piece, Alexia!